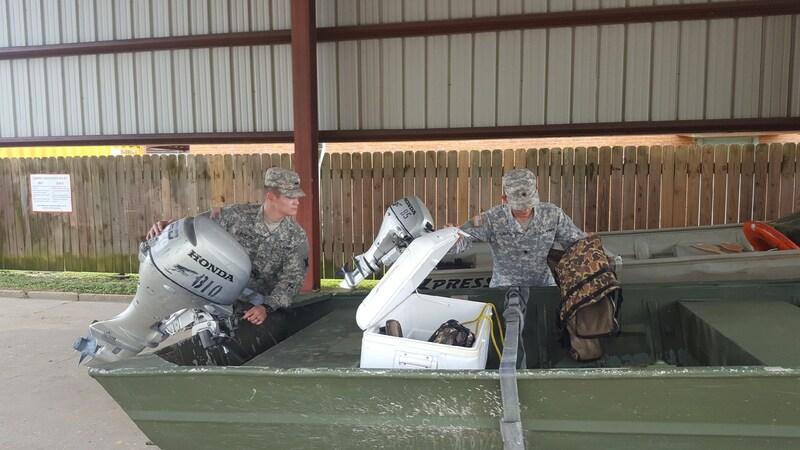 NEW ORLEANS – The Louisiana National Guard began staging equipment and supplies across the state in preparation for Tropical Storm Cindy, June 20. Approximately 100 high-water vehicles and 33 boats have been staged in 14 parishes. In addition to the pre-staged equipment, the LANG has more than 200 additional high-water vehicles and 50 boats are available and ready if needed. The 225th Engineer Brigade, headquartered in Pineville, staged high water-vehicles and boats in Rapides, Tangipahoa, St. Tammany and Washington parishes. The 256th Infantry Brigade Combat Team, headquartered in Lafayette, staged high-water vehicles and boats in East Baton Rouge, Natchitoches, Beauregard, Calcasieu, Acadia, Lafayette, Iberia, Terrebonne and Orleans parishes. 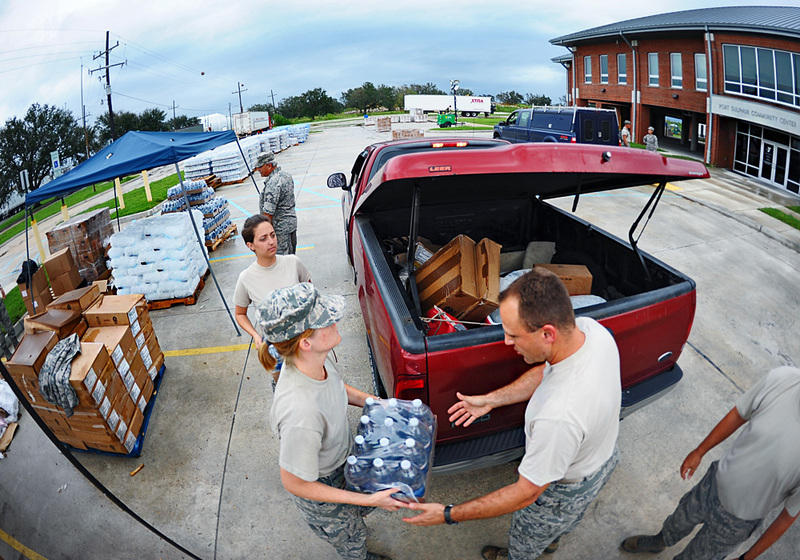 The 159th Fighter Wing, headquartered in Belle Chasse, staged high water-vehicles and boats in Plaquemine Parish. The State Aviation Command, headquartered in Hammond, have a total of four helicopters with crews on 24-hour alert, ready to deploy from Esler Field in Pineville and Hammond. 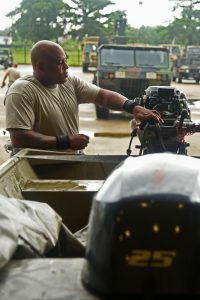 The 139th Regional Support Group, headquartered in New Orleans, staged a total of 24 tractors with trailers at Camp Beauregard in Pineville and Camp Villere in Slidell in preparation for commodities distribution. Louisiana’s Guardsmen are trained, ready and equipped to stand up at any moment to protect lives and property, maintain communications, and ensure the continuity of operations and government.